A college in an obscure Sonada village has dared to tread on the unchartered territory of FM radio space in the Darjeeling hills, prompting teachers to turn into RJs in the process. The initiative of Salesian College, about 25km from here, is the first of its kind by a Bengal college, claims the institution. Radio Salesian 90.8 FM will be on air from December 8, though even private players have not shown interest in setting up FM stations in the hills despite the region's love for music. "There are community radios being run by universities, like Jadavpur University in Calcutta. But nowhere in Bengal or for that matter in any north eastern states that a community radio is being aired by a college," said Fr C.M. Paul, station director, Salesian Radio. As a prelude to the launch of the FM radio, the college will create history when it starts a web radio, with a set of 20 programmes most of which will be in Nepali, on Friday. 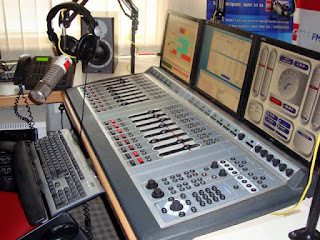 "The web radio broadcast will be available on computers and mobile phones. A user has to just log into www.salesiancollege.in and go to the Salesian Radio section," said Fr Paul. The college, which had been set up in Shillong in 1933, was relocated to Sonada in 1938 following a fire. The college has brought in a professional radio jockey, Samir Chhetri, to help the institution with programme production. But it has not stopped the head of department of sociology, Sumina Chhetri, and computer application faculty head, Bryan Kerr, from trying their hand on jockeying. Besides the three, Soroj, Savitri, Rohit, all non-teaching employees at the institution, are also part of the six-member RJ team. "I had a childhood desire of being a VJ but as I grew, I never thought about it. When the college decided to come up with an FM radio, I thought I would fit the bill as I think I speak well and I love media and socialising," said Sumina, 25, who was sent by the college to attend a workshop on community radio in Indonesia. "The workshop was attended by RJs from the Philippines, Malaysia, Hongkong and other Asian countries and it was a great moment to learn how community radio could be used as an effective tool for empowering a marginalised community. Since all of us (RJs) are local people, I believe we can understand and articulate local issues ," said Sumina. For Byran, who loves rock, blues and jazz music, radio jockeying was something that attracted him instantly. "I wanted to be a part of the team when Father talked about the plan," said Bryan. He sees little difference when he switches over to RJ Bryan. "Whether it is in the classroom or the studio, it is about talking but the only small difference is that I address a visible audience in the classroom while its all in the mind when I talk in the studio," said Bryan. RJ Samri stressed that the 50 per cent of the content would be community-based aimed at empowering the rural people and providing a voice to the voiceless. "'Voice to the voiceless' is our tagline," said RJ Samir. "We will play mostly local music. We are also attempting a new experiment of providing space to ethnic groups, like the Gurung, Tamang and Subba communities of the hills. Such a space has never been created in the past," said Samir. Even though Gurungs, Tamangs, Subba and other communities are sub-communities of the whole Nepali community, they have their own dialects and in some cases, even scripts. Of late, songs in different dialects are coming up in the hills. "We will also hold panel discussions, try and get the villagers' grievances addressed by elected representative concerned. There can be shows where people can meet government officials face to face," said Samir. Sonada is hemmed in by forest villages and tea gardens and the focus of the college will be to provide a platform to the unheard voices. Other programmes will deal with folk music, legendary artists, talents, issues concerning the youth, literatures and agriculture. "We will only have one show in English, which is titled; Unplugged and Stories Behind Music. The rest will be in Nepali," said Fr Paul. College students will play an integral role in shaping up the programmes. "The students will pan out to villages for stories. We will encourage the public to air their grievances. We actually have 20 youth centres and students will visit these places weekly to draw up the programmes," he added. Radio Salesian is a non-profit venture of the college. "This is a non-profit venture aimed only at empowering the community. When our FM radio starts, we will not be allowed to run advertisements for more than five minutes in an hour. Moreover, the advertisement rate will be Rs 4 per second. In places like Sonada, there is little scope for advertisement," said Fr Paul. The college, run by Salesians of Don Bosco, has invested Rs 20 lakh in the project. "We have set up a studio on the college campus," said Fr Paul.